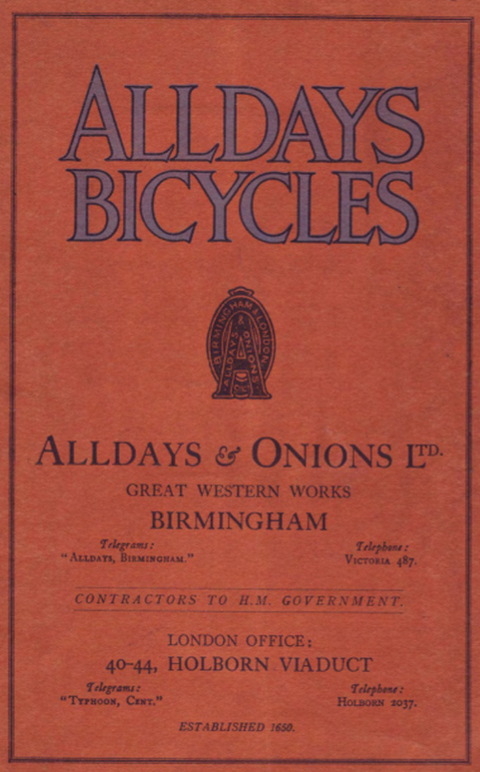 As you can see by comparing the photos with the illustration from the Alldays catalogue, the Alldays Ice Cream Tricycle was essentially the ‘Standard’ Carrier with a more elaborately decorated body. Distinguishing features of the Alldays carrier chassis are a lower strut which extends all the way to the rear axle (Warrick’s lower strut terminates at the bottom bracket); and a straight forward seat tube (Warrick’s bends at the lower end). 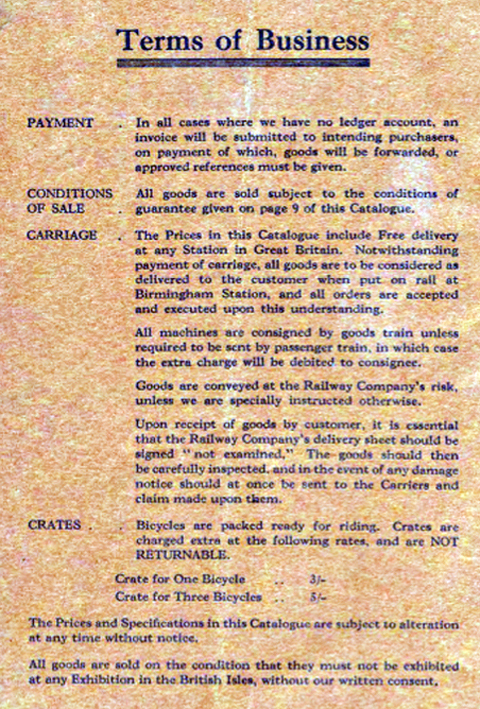 This example is in excellent preserved condition, having been restored many years ago and used only for display since. I’ll soon give it a good cleaning, repaint the rear mudguard, fit an inflator pump and new tyres, and replace the missing handlebar grip. It also needs a sign made for the front to read STOP ME AND BUY ONE. It will then be ready to start earning its keep selling ice creams once again. 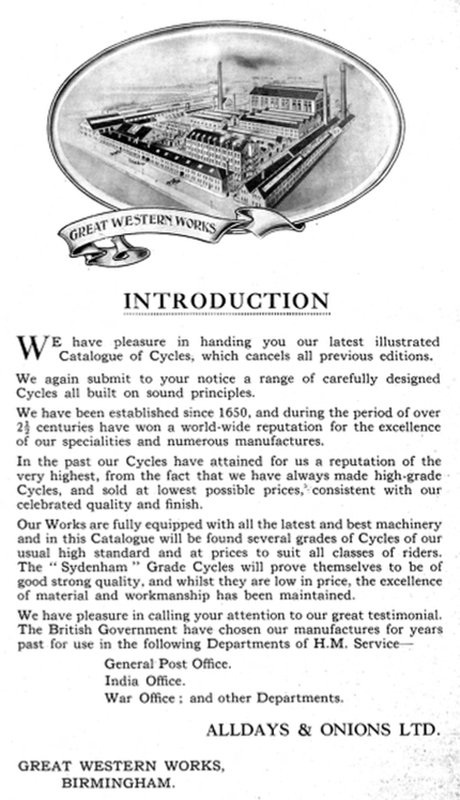 Though they no longer make bicycles, it’s refreshing to see that this manufacturing company has survived, with various mergers and changes, for around 365 years.